HotelRace is modifing the hotel sector by suggesting hotels smart technology which turns hotels less addicted to OTAs. Manage priorities in your subjects and earn back your online reservations' audit. Make effective client travels for all guest to increase direct reservations. We utilize all the information about your website users and display them the correct triggers, at the correct place and at the correct time on your website - in actual time. It buys longer to take a cup tea than to set our solution on your website. Only a little part of hotel code set in the header of your website and reservation engine and we are all planned and working. 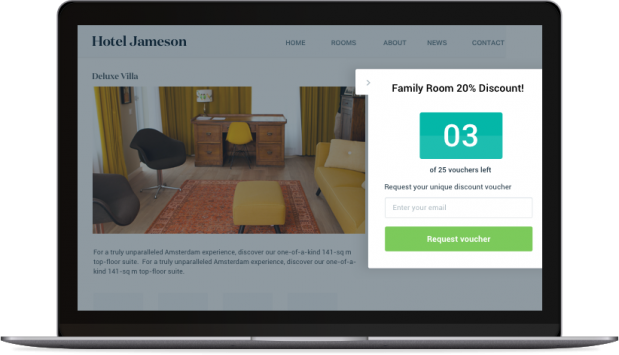 After setting, our concession experts turn your site into an excellent converting reservation website- the whole difficult work is made on the end. Time to get a cup of tea for you.